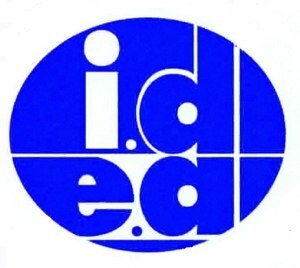 IDEAL English Academy is a respected and highly professional private language school in Bangkok. Our English Programs are renowned for being creative, inspiring and will captivate the students desire to learn. The students who learn with us become confident, capable and aspiring English language users. A fantastic opportunity for a qualified English Teacher has arisen to join a well-established EP program. As well as joining a great school, you’ll be a member of a supportive and well-resourced EP Primary department and be responsible for teaching levels 2-6. You’ll join a team ranging from newly qualified teachers to highly experienced teachers in the primary department. Ongoing training and development will be given to you, plus you will benefit from the support of the Primary EP Academic Manager. This is a full time position so you would be teaching up to 20 periods per week with additional hours for admin duties and lesson planning/activities. We are seeking to appoint a full time qualified, committed and enthusiastic computer/math specialist, to join a dedicated and well-motivated team of EP Secondary Teachers. The grades you will be teaching will be from Grade 7 to Grade 12. You must be a highly motivated and passionate about teaching both subjects as the whole EP department pride themselves on excellent student results. You will have to the opportunity to contribute and bring your own areas of interest and expertise to the department. Ongoing training and development will be given to you, plus you will benefit from the support of the Secondary EP Academic Manager. This is a full time position so you would be teaching up to 20 periods per week with additional hours for admin duties and lesson planning/activities. We are looking for an experienced and highly motivated Secondary School Teacher to join us at our Client School in Rama 4. The whole Secondary department pride themselves on excellent student results. You will need to be creative in your approach to teaching and learning, with the ability to inspire pupils and maintain a commitment to the company’s high standards. Again, this is a full time position so you would be teaching up to 22 periods per week with additional hours for admin duties and lesson planning/activities. This position is a mix of ACE (speaking and listening skills) and IP (all four skills). • A deep caring about students and commitment to the teaching profession and ethics. • A demonstrated cultural understanding and respect and a desire to live and work in Thailand. • A sense of adventure and an interest in contributing to the success of our client schools and students. • A well balanced, flexible and adaptable nature. • A good role model for students and colleagues, demonstrating high personal standards at all times. • Be able to plan, organizing and preparing classes, including detailed lesson plans. Innovative and receptive to new ideas and opportunities for professional development. • Develop learning materials that support the learning objectives and planned activities. • Bachelor's Degree in a relevant subject from an Accredited University. • ESL qualification: TESOL, CELTA or TEFL (min. 120 hrs of in class training). • Minimum of 2 years teaching experience. The benefits of working with IDEAL English Academy are self-explanatory. You get to live and work in 'Beautiful Thailand' while teaching some of the best kids in the world. • Monday to Friday 8am to 4pm work week. • 12 month renewable contract with salary increase. • End of contract Bonus. • Non B visa extension and Work Permit supplied by the School. • 20 days holiday with an additional 13 public holidays plus Christmas break, all paid. • AIA Health and medical insurance cover. The school is located within walking distance from Queen Sirikit or Khlong Toei MRT stations in the heart of central Bangkok. At this time we are only accepting Native English Speakers from UK, Ireland, USA, Canada, Australia, New Zealand and South Africa. South African applicants must have a valid TOEIC score of 800+. You also must be currently in Thailand at the time you apply. Please quote the relevant reference on the subject line, then email the following documents to Human Resources at IDEAL English Academy hr@engideal.com now. Please note that we have a two stage interview process and only shortlisted candidates will be contacted for interviews and a pre-interview test. If you are contacted, please make sure you bring the originals of the above documents on the day of your interview. A teaching demonstration will also be required after the interview. IDEAL English Academy is committed to safeguarding and promoting the welfare of children and young people and expects all staff to share this commitment. Please also note that as part of the company's recruitment procedure the successful candidate will undergo background checks. For more information about our company and our programs, please visit our company website at http://www.engideal.com to find out more.